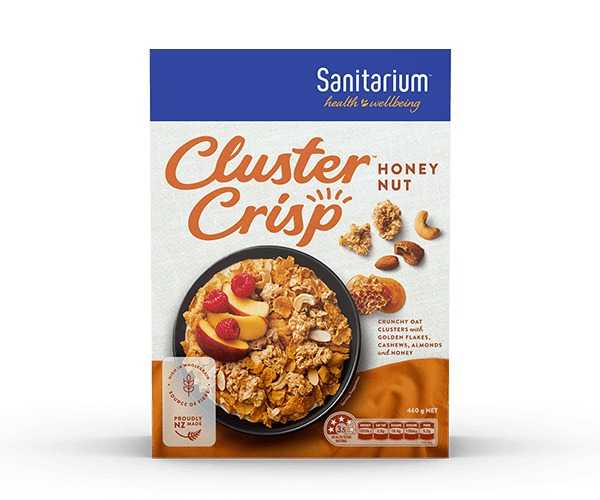 Scrumptiously crunchy oat clusters with honey, cashews & almonds for an irresistible taste explosion the whole family will love from Sanitarium New Zealand. Cereals (66%) [wholegrain oats (43%), corn, rice], sugar, vegetable oils [sunflower oil, palm oil, emulsifier (sunflower lecithin), antioxidants 304, 307b], nuts (5.5%) (cashews, almonds), corn maltodextrin, honey (1.5%), salt, barley malt extract, natural flavour, mineral (iron), vitamins (niacin, thiamin, riboflavin, folate). 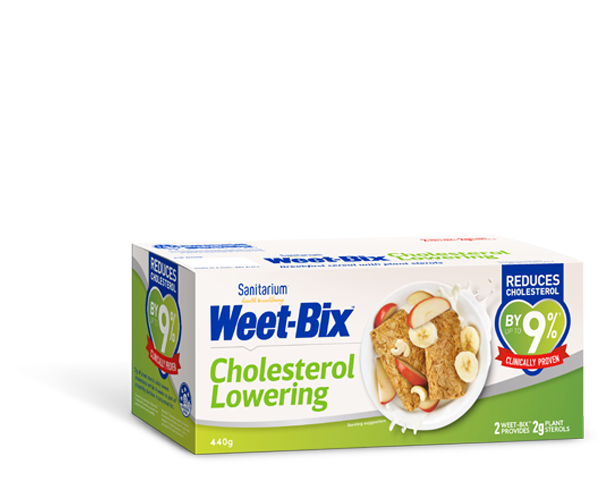 Contains cashews, almonds, and cereals containing gluten. May contain milk, soy, sesame, sulphites, lupin, and other tree nuts.